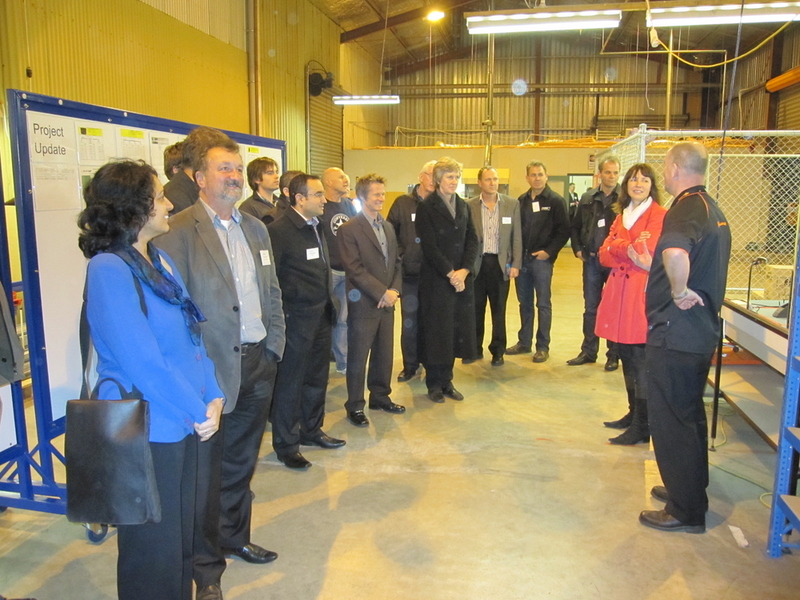 For those of you who weren’t able to make it, the PDMA-NZ event hosted by Gallagher in Hamilton was a hit. We had over 100 attendees that included over 50 people who made the trek from Auckland (and who said we wouldn’t be able to make it over the Bombay Hills!) and people across the Waikato and Bay of Plenty as well as Palmerston North. There were a couple of people who were going to fly up from Christchurch, but unfortunately mother nature had her way and their flight was delayed. And just to show how innovative PDMA-NZ is, we introduced a new form of networking we like to call “bus networking”: for the people who travelled on the bus from Auckland, everyone was instructed to sit next to someone they didn’t know. And every 30 minutes, we stopped the bus and then everyone on the aisle seat had to move to sit with someone else they didn’t know. Some were a bit puzzled to begin with but once we got going, the bus was abuzz with all the conversations going on. We got lots of great feedback from this, so it looks like we are on to something! Everyone found the tour of Gallagher’s factory very impressive seeing the different aspects of the manufacturing process. There were presentations from Gallagher describing recent developments in their animal management systems and security systems (in particular the i-series energiser). And there was a presentation from Simcro describing their Partner, Innovate & Deliver structure, and spoke about their innovations in sheep drenching and better syringe designs. We’ve had a lot of very positive feedback from the event, but what was really rewarding for us was hearing from an attendee (in the food and beverage industry) on the trip back to Auckland that from going on the factory tour, the presentations and talking to the people there, he’s had an ‘ah-ha’ moment for his own company and the products they produce. He was really energised from it (and no, he didn’t get an electric shock from the Gallagher Energiser electric fence unit!) and only wished he brought along more people from his company to have the same effect on them. This is the true power of cross-discipline / cross-industry networking and why we think our events prove to be so popular to our members. Our thanks go to Gallagher for hosting this event, in particular to Rob Heebink and the team at Gallagher that helped to make this another successful PDMA-NZ event. And thanks to Ryan Lovatt from Simcro for his presentation and bringing along a number of samples which generated a lot of interest and discussion.